International Cell Phone Roaming - Keeping The Costs Down! HomeService ProvidersInternational Cell Phone Roaming – Keeping The Costs Down! I’ve been traveling internationally on and off for many years now. When traveling internationally these days, not only do I have the usual costs associated with airfares, hotels and ground transportation, but also I have the additional cost of using my smart phone. If one doesn’t plan for international cell phone roaming, the costs can literally run away, and on returning home you’re greeted with a two to three thousand dollar cell phone bill. Ouch! There are two things you have to watch for when traveling overseas with your smart phone, cost per minutes for calls and cost per megabyte for data. To make matters worse, these costs verify between cell phone service providers and countries you plan on visiting. Here are some things you can do to limit the costs of cell phone roaming. You could use a VoIP service such as Skype. Skype is great for keeping in contact with family,friends and colleagues at work. The drawback as with all VoIP services is they use Internet data. This is okay if you are connected to a free hotspot, but finding free hotspots outside of United States especially in Europe can be problematic. You can sign up for Boingo WiFi who has roaming agreements with other Wi-Fi service provides such as BT Open Zone in the United Kingdom or Orange in France. Boingo also have free I-Phone and Android Apps for smart phones which will connect you automatically to hotspots they have roaming agreements with. Boingo can save you money, but don’t sign up for the North America Plan then goto Europe, that will cost you. Check the Boingo plans here and pick the right one for you. If you have an American Express Platinum Card, then the Boingo Preferred Plan is free as part of your Amex membership and gives you unlimited Global Boingo Wi-Fi. Another alternative is to buy a prepaid SIM card for your smart phone. This can be a real headache if you don’t have somewhat of a grasp on cell phone technologies. Basically they are two types of SIM cards available, International SIM cards that you buy before you leave from One SIM Card or Telestial and local SIM cards you buy from a local cell phone/mobile phone company on your arrival. I’ve used both types and both have their advantages and disadvantages. The international SIM cards you buy before you leave are a little more expensive in terms of initial cost and usage to what the local SIM cards are. But you have two numbers that you can give to people and forward your calls to before you leave for your trip. One number is a US number and the other a global number. The global numbers are usually UK or German mobile numbers. Buying a prepaid SIM card upon your arrival may be slightly cheaper, but the drawbacks are not having a number before you leave and the unknown cost of calls back to your home country, in my case the United States. There are three other things you need to consider with using prepaid SIM’s. 1. You have an unlocked Smart Phone! Check with your cell phone carrier to see if your phone can be unlocked, if you are still under a contract chances are they won’t unlock it for you. If this is the case, then you will need to either buy or rent an unlocked phone for your trip. 2. The phones base voice technology! In the United States, Verizon and Sprint use CDMA (Code Division Multiple Access). CDMA uses Spread-spectrum technology that is a little more efficient than other technologies. The problem with it is it’s not a global standard! To my knowledge the United States, Canada and Japan are the only countries who use this technology in their mobile networks. AT&T and T-Mobile use GSM (Global System for Mobile Communications) and as of 2014 it has become the default global standard for mobile communications – with over 90% market share, operating in over 219 countries and territories. 3. Frequency Bands are another issue. In the United States and Canada, the 850 MHz and 1900 MHz bands are used whereas the rest of the world uses 900 MHz or 1800 MHz bands. The best bet is to buy a quad band phone if you plan on traveling internationally. Did I say this option could be a headache? Use T-Mobile as your International Cell Phone Roaming Service Provider. The best solution for keeping your cell phone cost low while traveling internationally is T-Mobile. I switch from Verizon Wireless to T-Mobile for the international roaming savings alone. Included in T-Mobile’s Simple Choice Plan is international roaming in 120 plus countries and destinations at 20 cents per minute. Furthermore, Texting is free in these countries and so is unlimited data coverage. Albeit, data speeds are a bit slow running at 2G, but you can buy an international high speed data pass by simply logging into your account online. 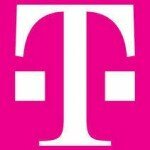 If your T-Mobile phone is connected to the internet via Wi-Fi and your phone supports Wi-Fi calling (most new T-Mobile phones do now), then you don’t even pay 20 cents per minute to call back to the United States. The call is included in your plan. 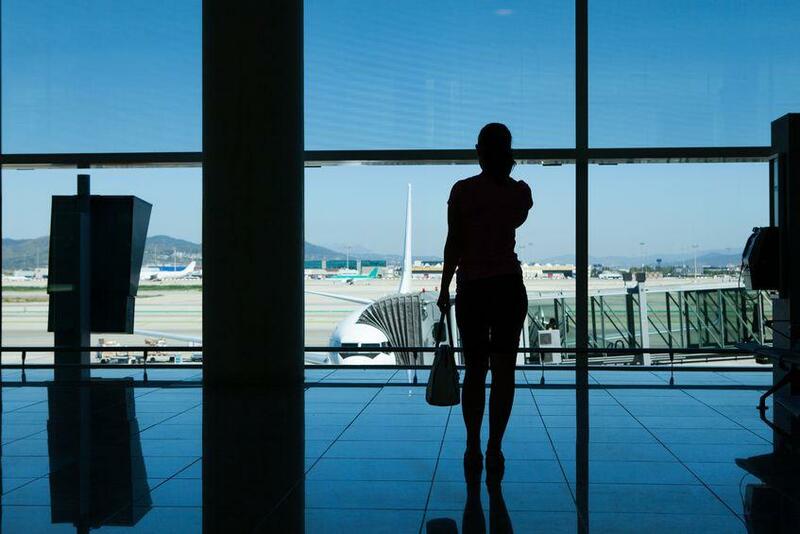 T-Mobile has taken care of three pain points for the international traveler. These are international roaming costs, the ability to use your own cell phone number, and being able use your own phone when traveling internationally. There is only one minor pain point left with using T-Mobile when traveling internationally with your Smart Phone. That’s obtaining a local number for people in the country you’re visiting to call you on. The solution to this minor issue is Sonetel. Although Sonetel wants business customers, you can still sign up for their service as an individual. Just use your first and last name as your business name. With Sonetel, you can buy phone numbers in 50 different countries and forward that number to your U.S. cell phone. The service is a pre-paid service and the rates are cheaper than Skype-Out rates. You can keep the numbers for as long as you want and you can have more than one number too. Since I go over to the UK often, I keep a Sonetel UK number permanently forward to my T-Mobile cell phone. It costs me about $2 per month and one cent per minute for incoming calls. I pay Sonetel through PayPal, when my balance drops below a certain threshold, they recharge my account by billing my PayPal $20. Between T-Mobile and Sonetel, I have best the solution to my phone communications when traveling internationally.